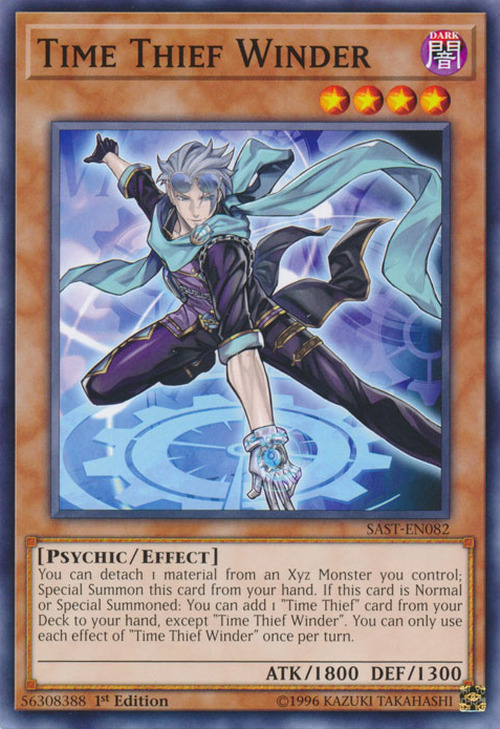 You can detach 1 material from an Xyz Monster you control: Special Summon this card from your hand. 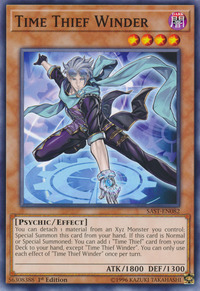 If this card is Normal or Special Summoned: You can add 1 “Time Thief” card from your Deck to your hand, except “Time Thief Winder”. You can only use each effect of “Time Thief Winder” once per turn. This monster appears in the card Time Thief Hack. This monster is loosely based on the designs of the Tenth and Eleventh Doctors from Doctor Who.